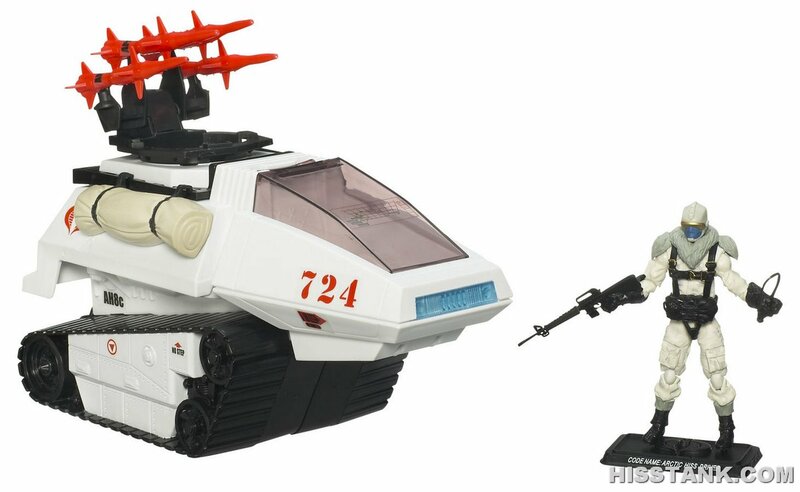 Weapons: 70mm missiles with infrared homing synchronization. 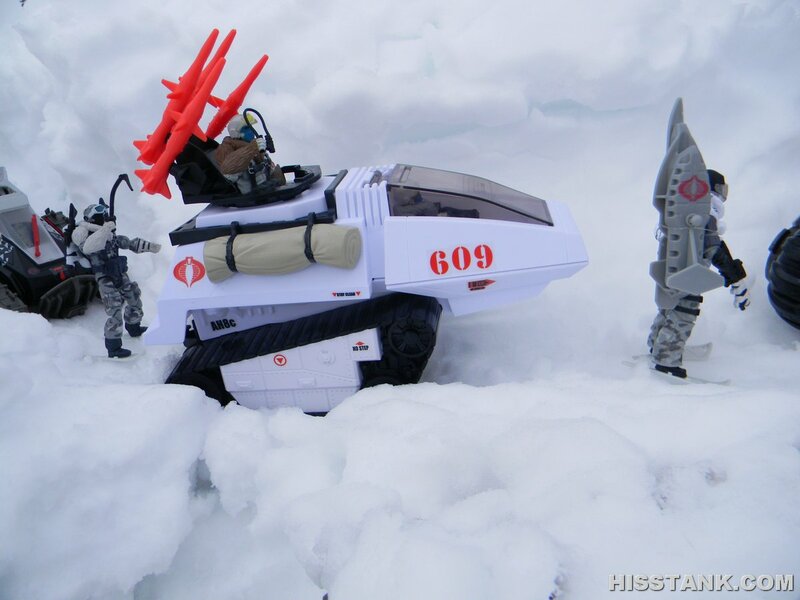 Arctic H.I.S.S. 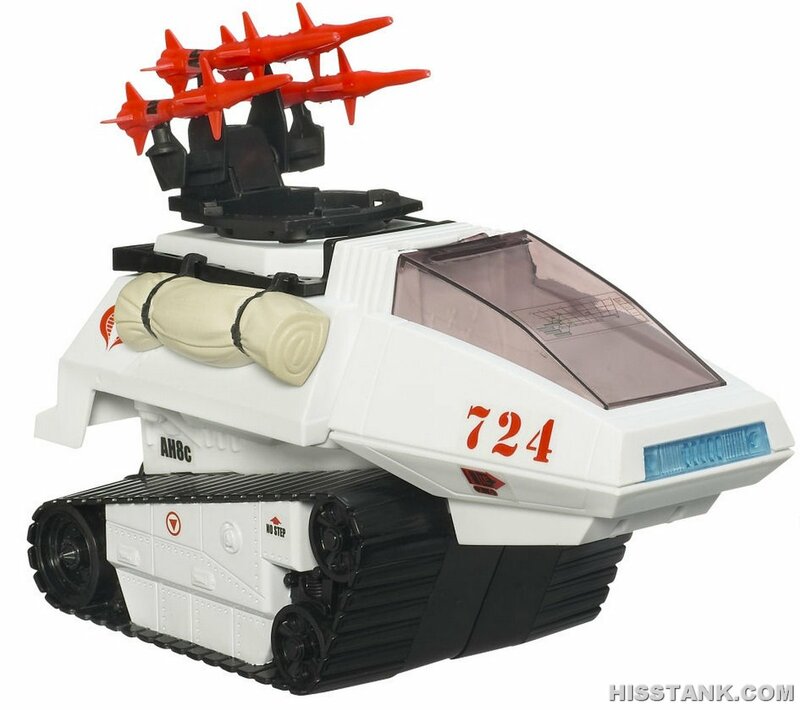 (High Speed Sentry) tanks are designed for use in polar or alpine conditions, to negotiate over deep snow and soft ground with maximum speed and maneuverability. This armored workhorse has a fully winterized cabin and can operate at temperatures to minus 60 degrees Celcius (minus 76 degrees Farenheit). They are armed with missiles that have IHS 9infrared homing synchronization) for pinpoint targeting accuracy. 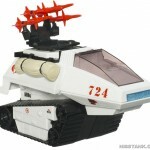 Cobra uses these cold-weather tanks to guard their arctic bases and attack polar facilities for capture or destruction. 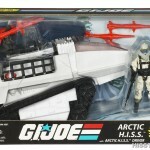 An Arctic H.I.S.S. tank moves swiftly over the snowy arctic ground. It's destination: a fortified research station housing a new electromagnetic energy system. 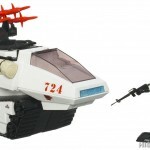 The tank's driver launches missiles that destroy the protective barrier around the station and easily takes control of the facility in the name of Cobra Commander! 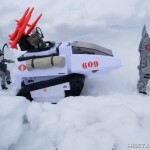 Arctic H.I.S.S. Drivers, are selected from the best of the Cobra infantry forces for their skills, physical strength and initiative (which means they're some of the nastiest, toughest and most aggressive troopers in the entire Cobra Army). They are given concentrated training in the optimal operation of these powerful armored tanks; then they receive specialized training in cold weather combat and survival techniques. 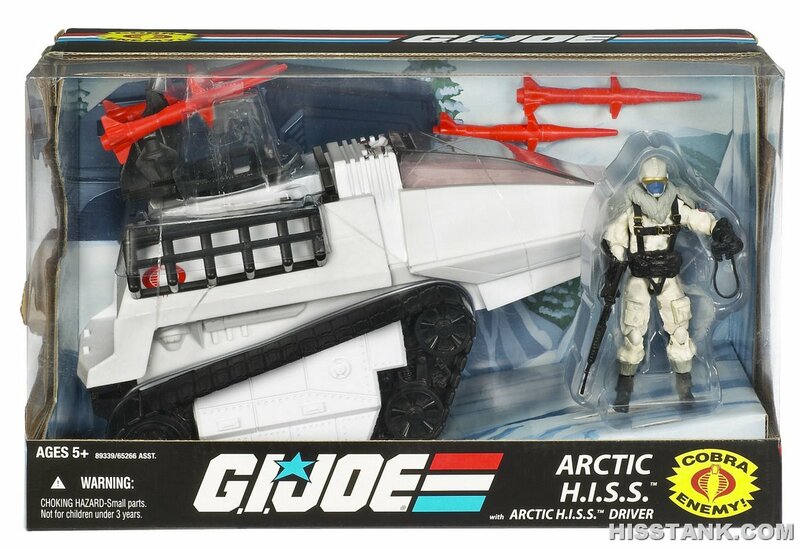 Arctic H.I.S.S. drivers are graduates of Cobra Battle School and advanced weapons systems training. "The only thing colder then the environments in which we live and fight is the ice in our veins"